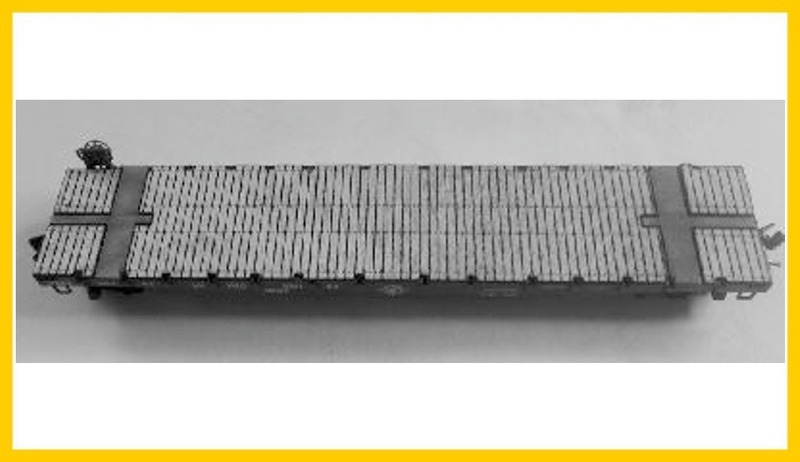 A wood deck for Micro Trains 45000 Series 50 ft flat cars. These include the new Military and Ringling Brothers cars and others. The kit includes laser cut micro plywood and laser board parts with 3-M peal and stick backing for a easy no glue conversion. If you don't need or want the backing let us know and will ship your kit without it, but give us a day or two to make it up. Note Kits converts 4 cars to wood decks.